I think Steve Ditko might be having a laugh this weekend as Spiderman 2 opens in theaters and all the kids rush to Free Comic Day hoping to get a quick sketch of Spiderman from a hunched over comic illustrator. 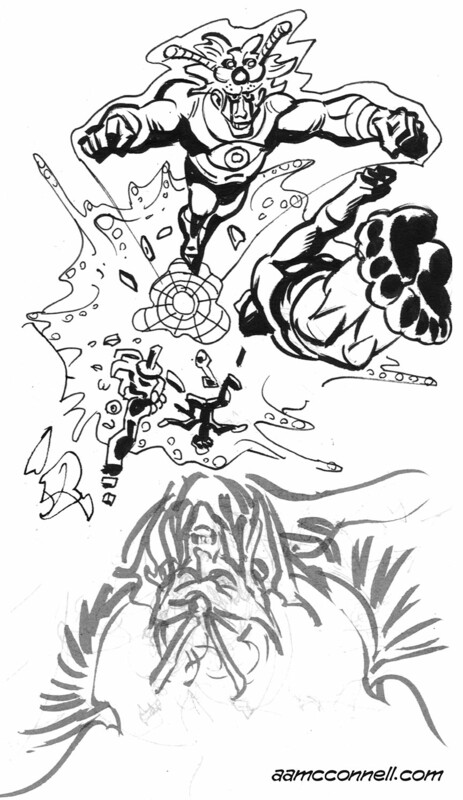 I don’t think Ditko had the word “quick” in mind when he designed that web pattern on Spidey’s uniform. I hope the kid’s aren’t too disappointed when they get sketches from me that look more like this: There is a possibility they could have a mind altering experience with the likes of this: If things really get out of hand, West Linn Security may be dragging me out of the library once they’ve discovered I’m handing out drawings like this: But, let’s hope it doesn’t come to that. Personally, I look forward to leaving the house and hope to make the most of it. 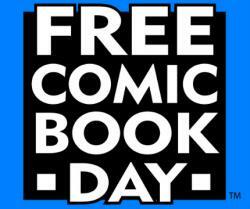 Free Comics at the library! That’s a guarantee, because even if they run out of the free floppies, you can still check something out with your library card! Win Win! …and I nearly forgot. I’ve been wrapped up in a lot of scribbling lately, and eventually the results will show up here (and in print! 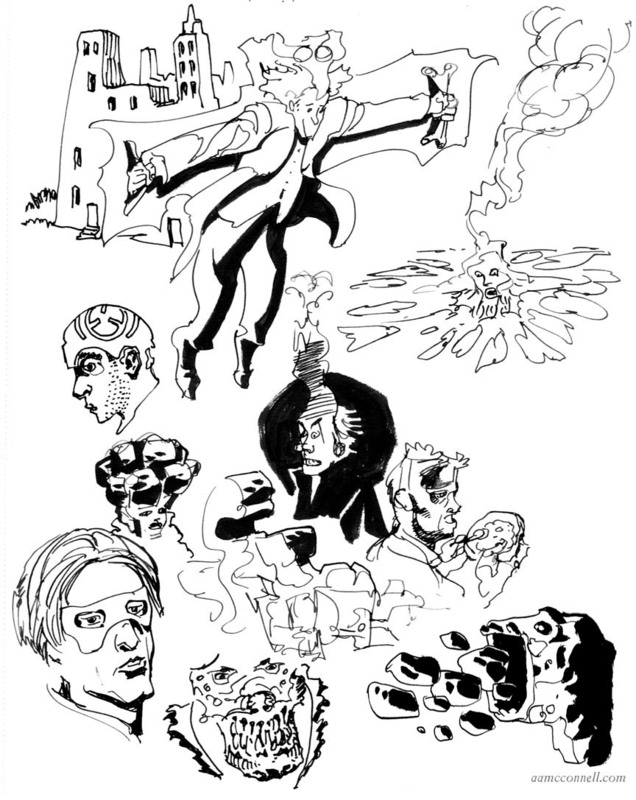 ), but for now I offer a random sketchbook page. Head studies. Some of these were drawn from photos (can you spot a celebrity or two?) 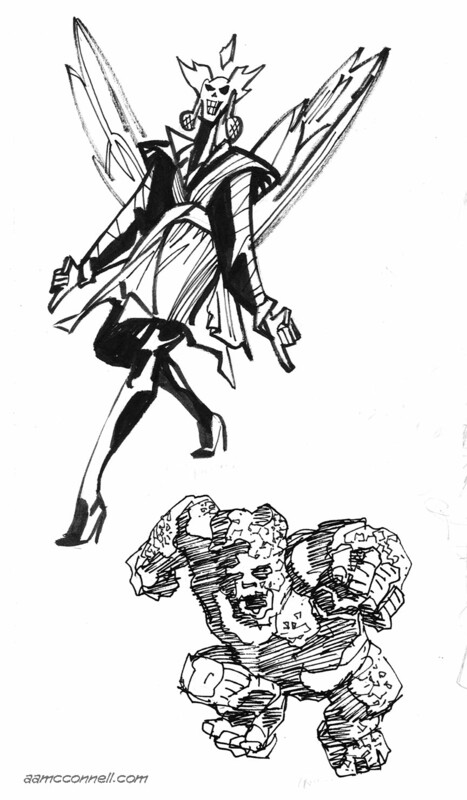 and others were drawn from comic panels by Hugo Pratt, and still others appeared from the mind’s eye. My studio practice compressed in a page. 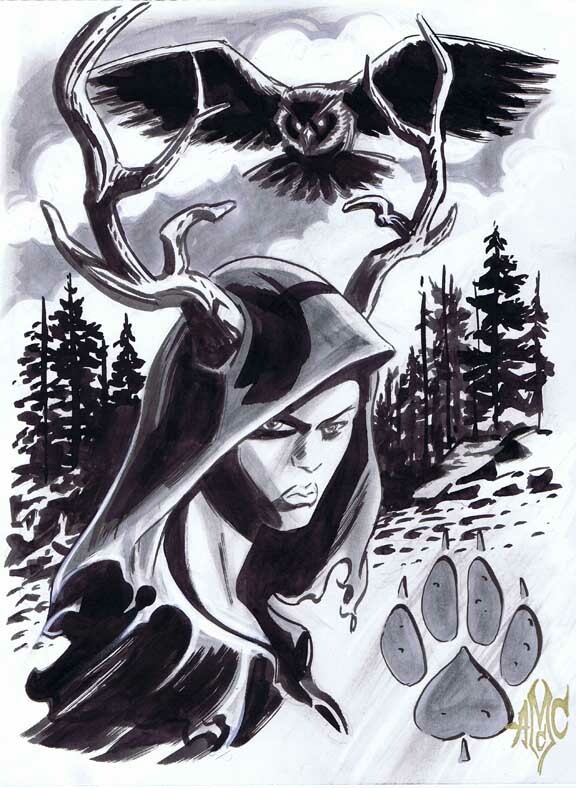 Pre-order a 13th Age Commission for Emerald City Comic Con! 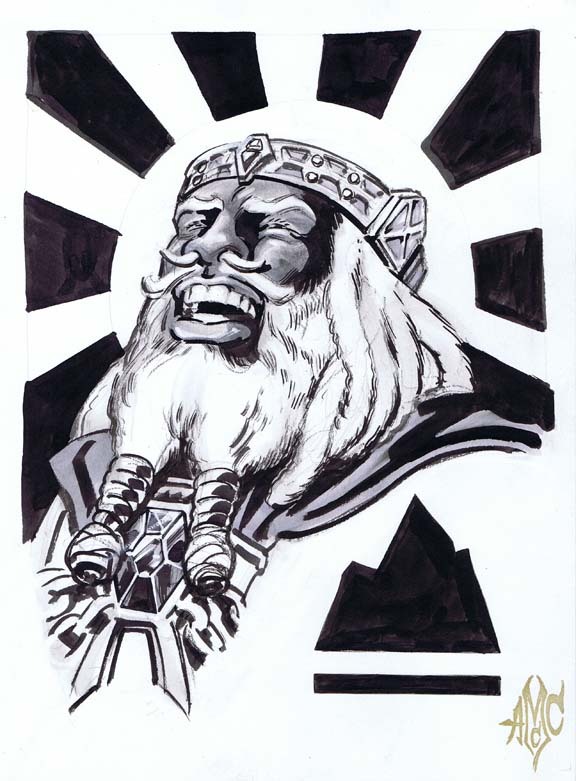 Emerald City Comic Con is coming up the end of this month, and the 13th Age crew will be there — Rob Heinsoo and our volunteer GMs will run demos, and I’ll be in the Artist Alley. I’ve had to turn commission requests down within the past year due to my work schedule, but I’m making the time in the weeks leading up to the convention to do some! 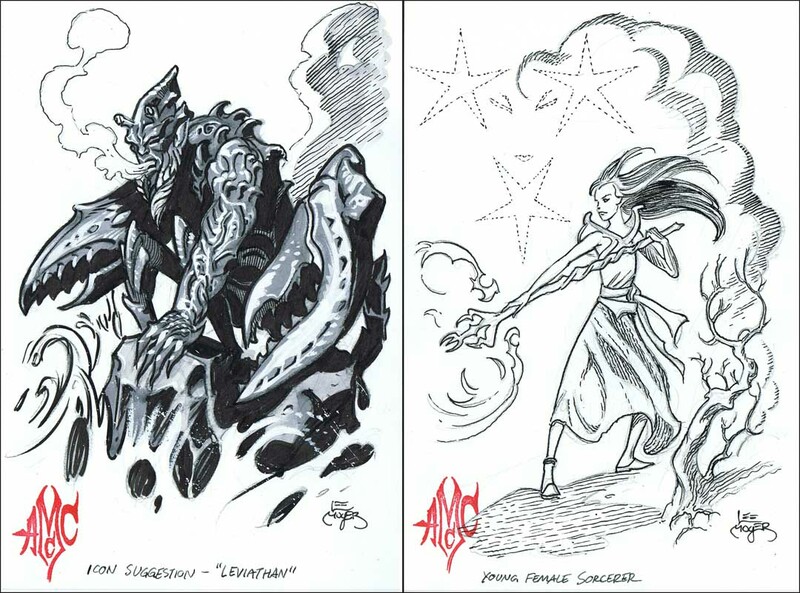 If you’re interested in getting an original drawing of your favorite 13th Age Icon or character, please email me at aranmcconnell(at)hotmail(dot)com with “COMMISSION” in the subject line, to pre-order yours now. 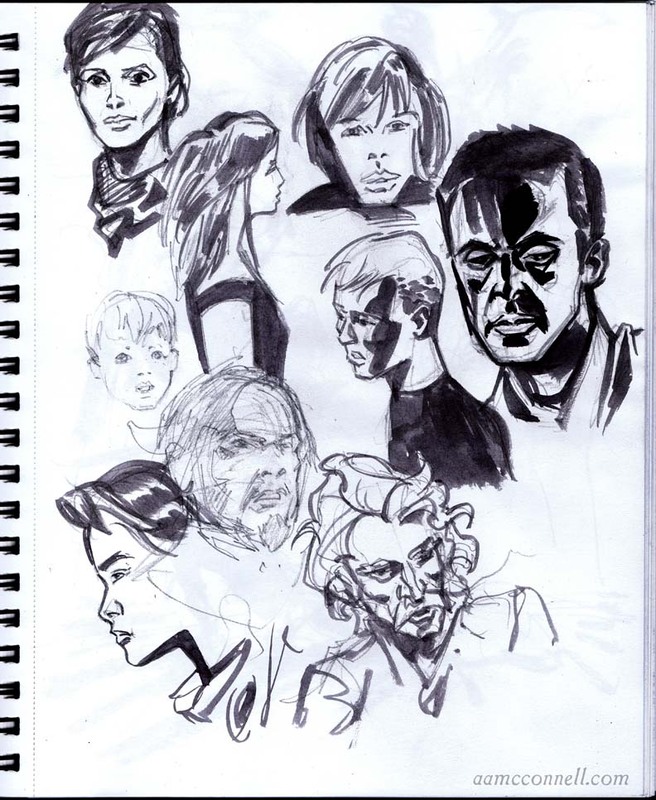 A black and white single character sketch, full figure or head (like the icons below), 9″x12″ for $50. Anything beyond that, such as a character along with an icon, is going to cost at least $75 and will depend on the complexity of the image. I think we’ll both be happiest with a straightforward concept that is boiled down to the elegant essence at the core of a character. The sketches at the bottom of the post were done with that sentiment in mind. 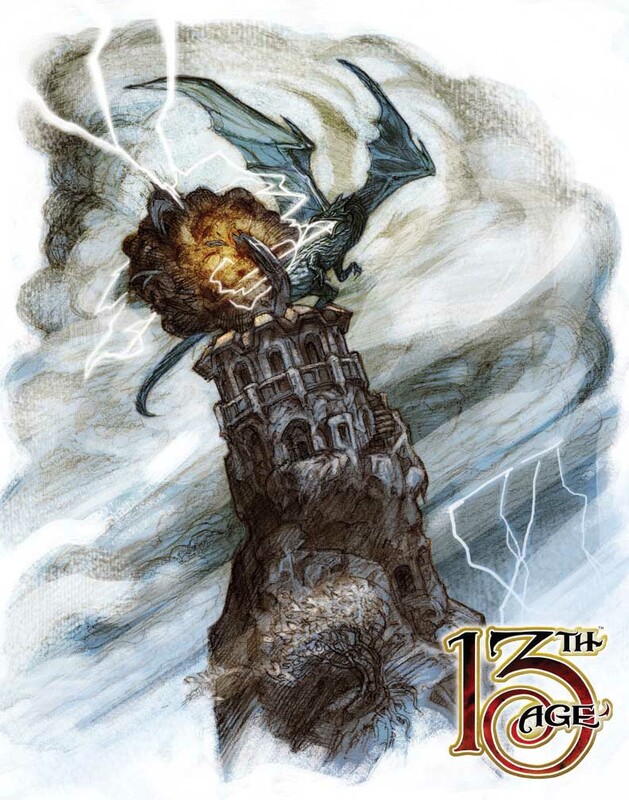 So, if you’re planning to be at ECCC please consider signing up for a demo of 13th Age and pre-ordering a sketch! 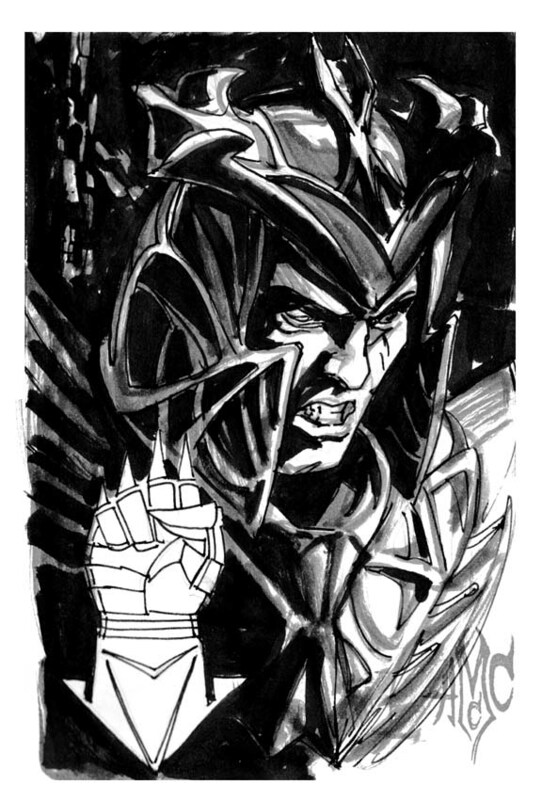 Pre-ordering is the best way to ensure that you’ll be able to get a sketch. We were able to work on suggestions like these at PAX because the “commission craze” hasn’t really caught on there like it has at ECCC. 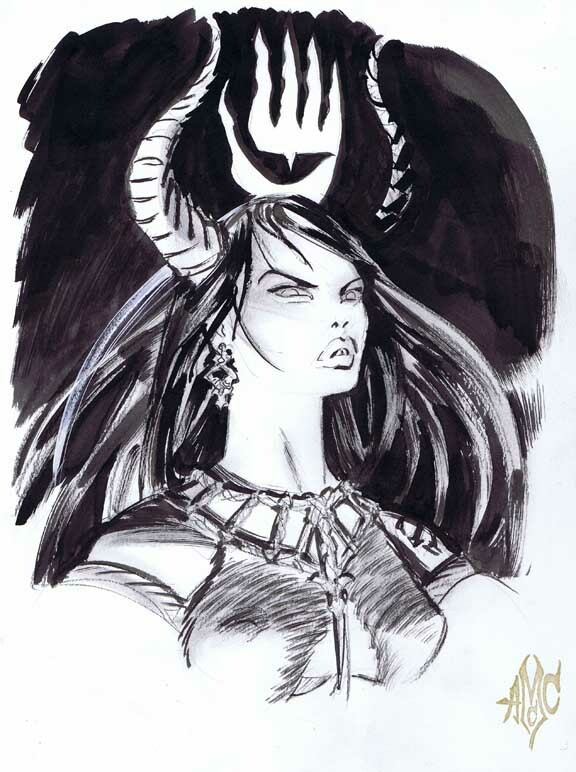 At the Comic Con word is out that artists are willing to do sketches for money…surprise, surprise. 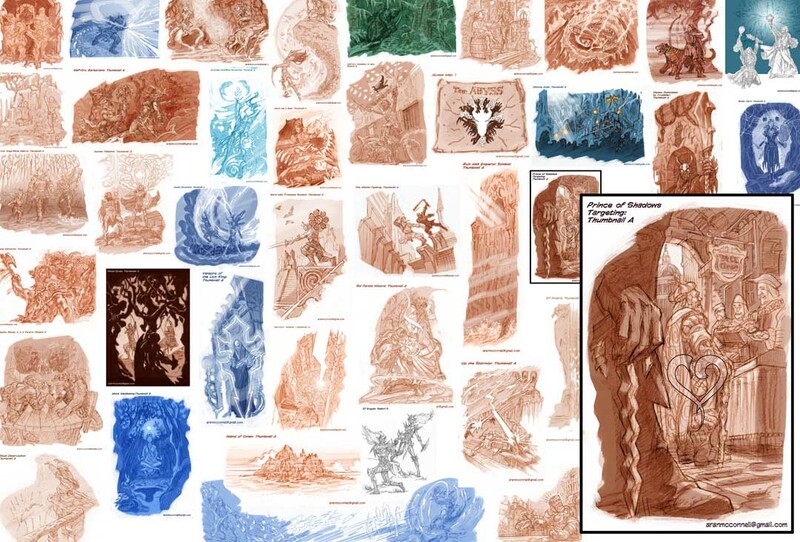 The pre-order concept has been a popular solution for the artists who want to do more commissions than they can accomplish in a single weekend. Thank you, and I hope to see you in Seattle! 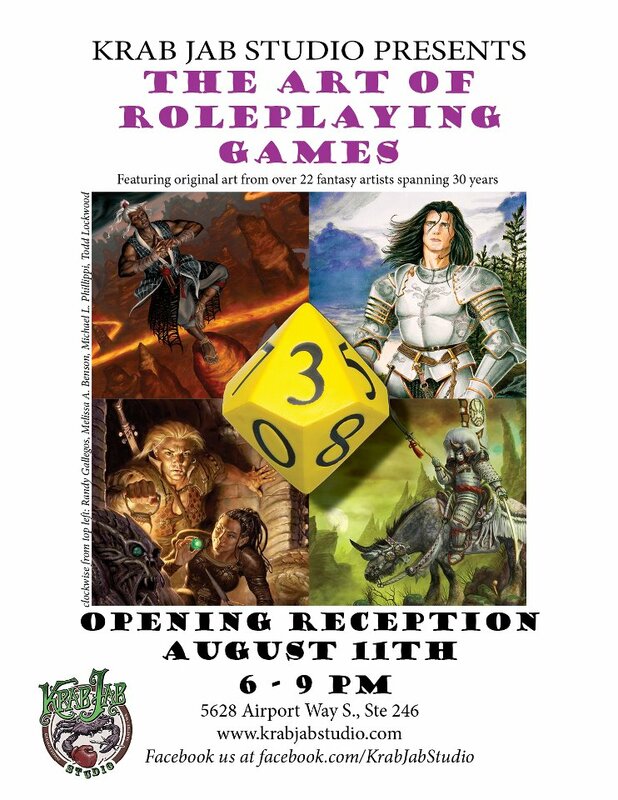 Starting today, Friday August 31, I am attending PAX Prime in Seattle, Washington to assist the Fire Opal Media folks promote 13th Age and the expansion book 13 True Ways currently kickstarting. What is PAX Prime? Your Answer. I’ve brought 40 prints with me for sale at the Gamma Ray Games booth. There are ten 11″ x 14″ prints each of the 4 images I’ve shown here, and Lee Moyer and I will be available to sign them from 2-4pm on Friday and Saturday. 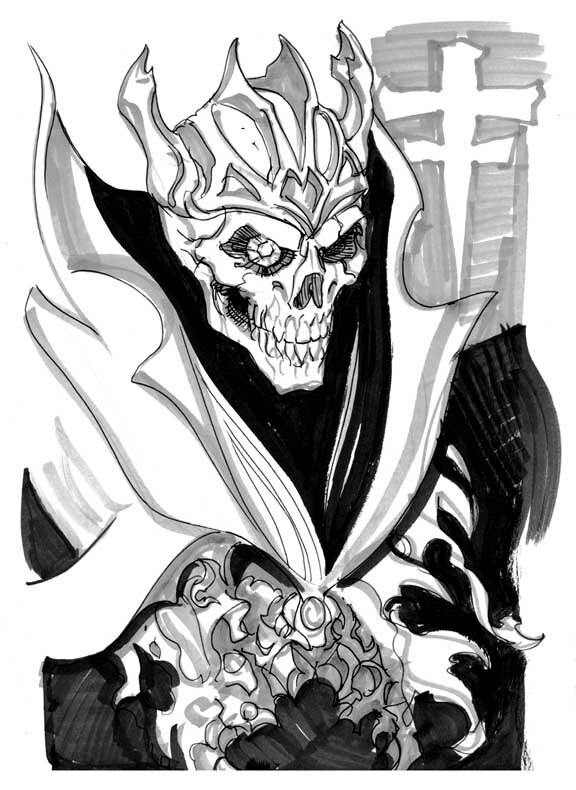 And there’s a rumor that I’ll be Icon Sketching as time allows. We’ll see how it goes. I hope to see you there! 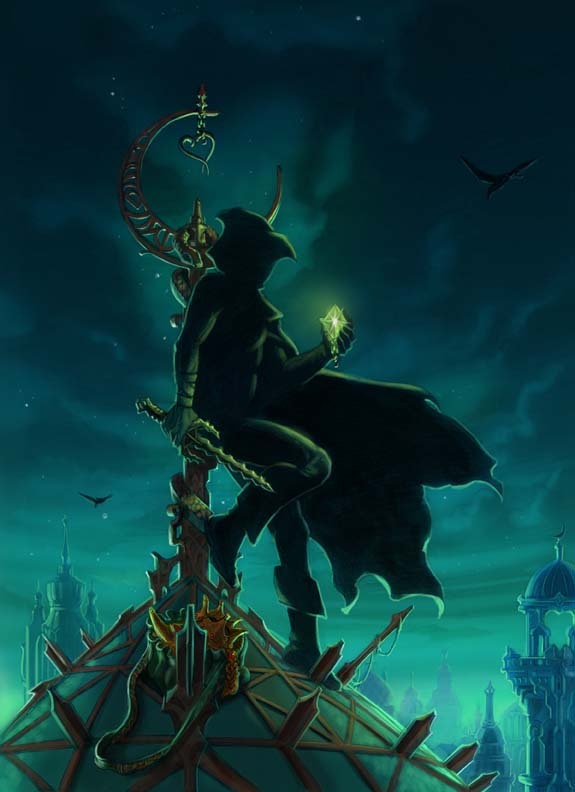 The Prince of Shadows is part thief, part trickster, and part assassin. To some he is a hero; to others a villain. He has squandered the riches of the dwarves, murdered the hopes of a dragon, and plundered the dreams of a god. 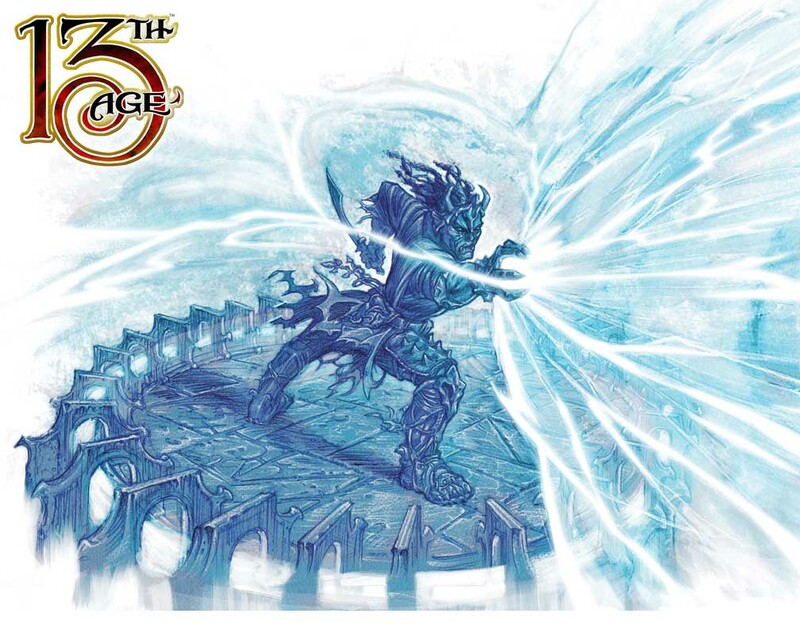 His exploits have changed the world, but none can tell you his ultimate goals or motives.–From the 13th Age icon teaser description. 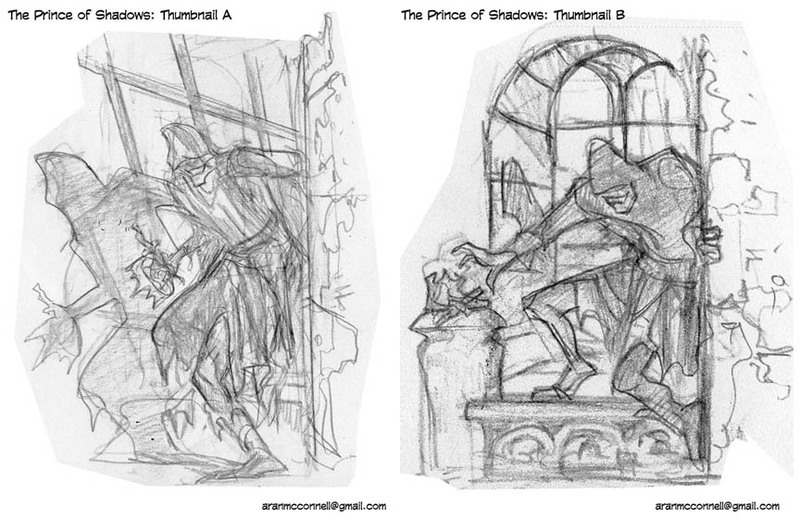 Here are some early thumbnails before we decided the Prince should go play outside. And now a little teaser of things to come! 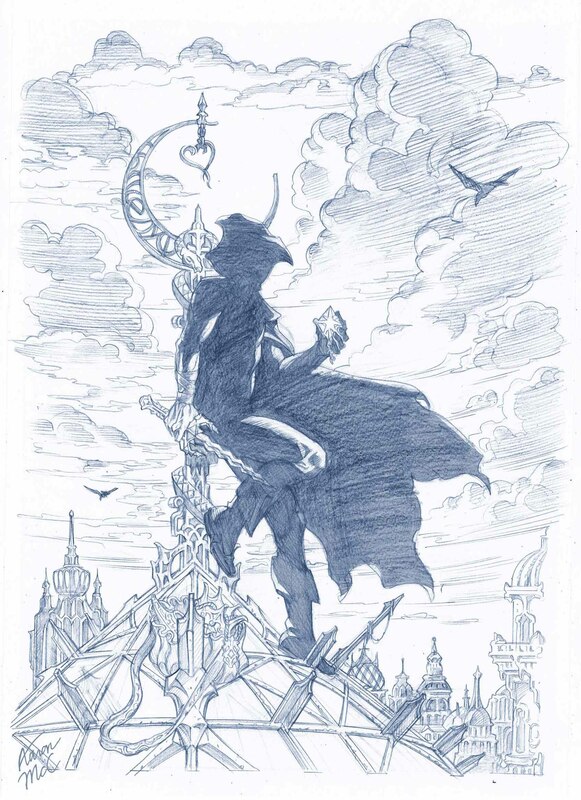 Amidst this sea of thumbnails for the interior art of 13th Age (reduced to maddeningly illegible sizes) you’ll find the thumbnail for an illustration that relates to the Prince of Shadows. 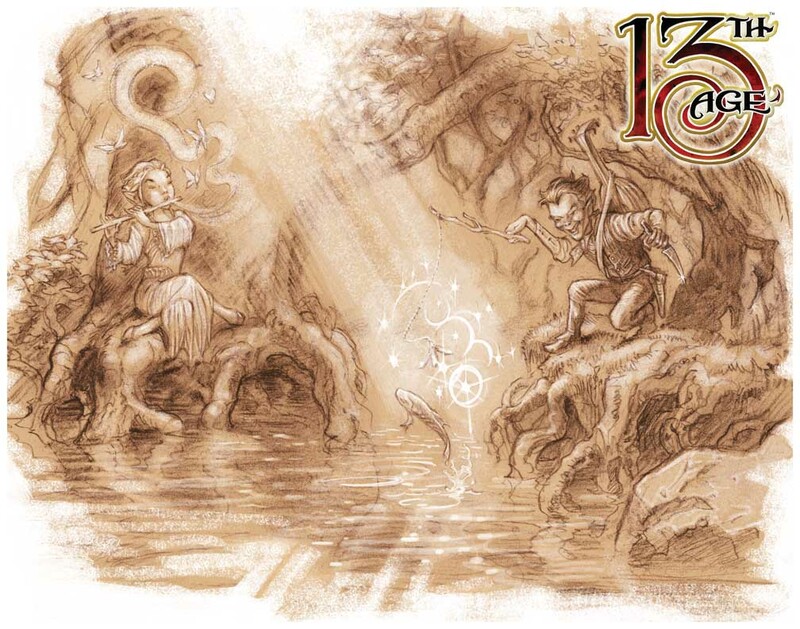 Check back for more excitement in the coming weeks as we rev up for the official release of 13th Age. 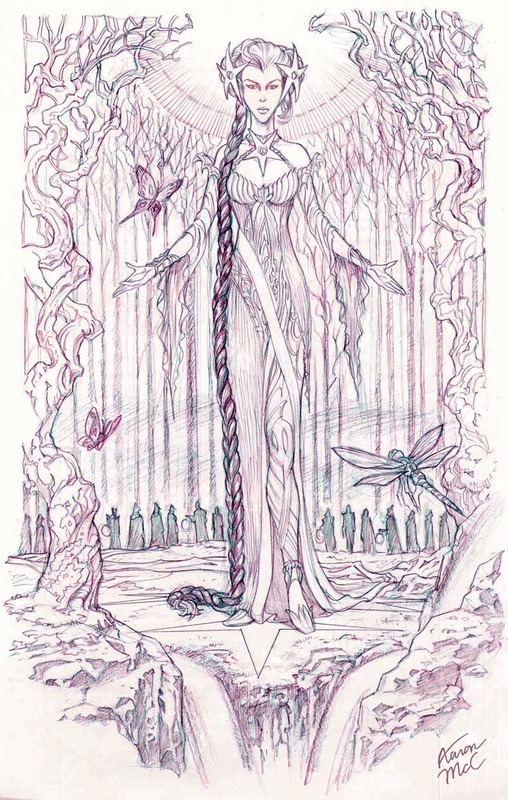 The Elf Queen rules the Court of Stars, the one place where wood elves, dark elves, and high elves come together as peers and allies instead of as rivals or enemies. 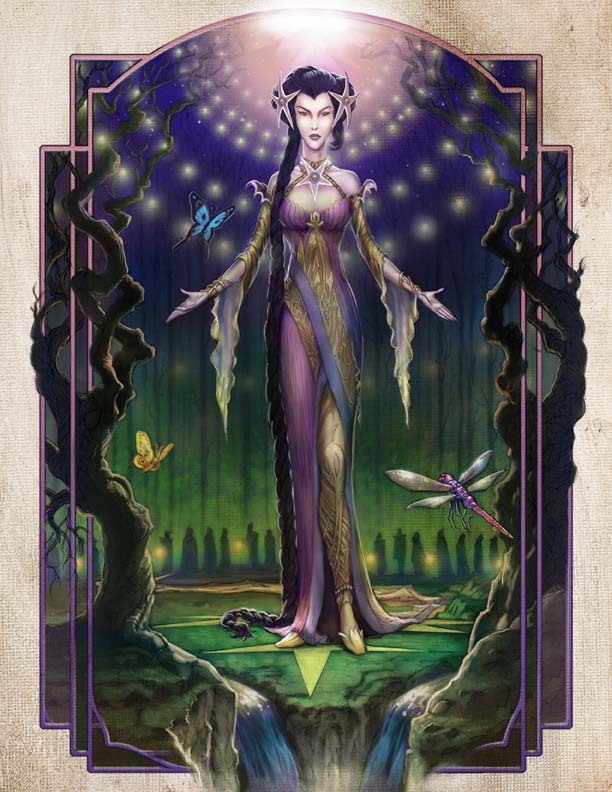 Honed by centuries of experience, the Queen’s innate magic at least equals the Archmage’s spells.–From the 13th Age icon teaser description. 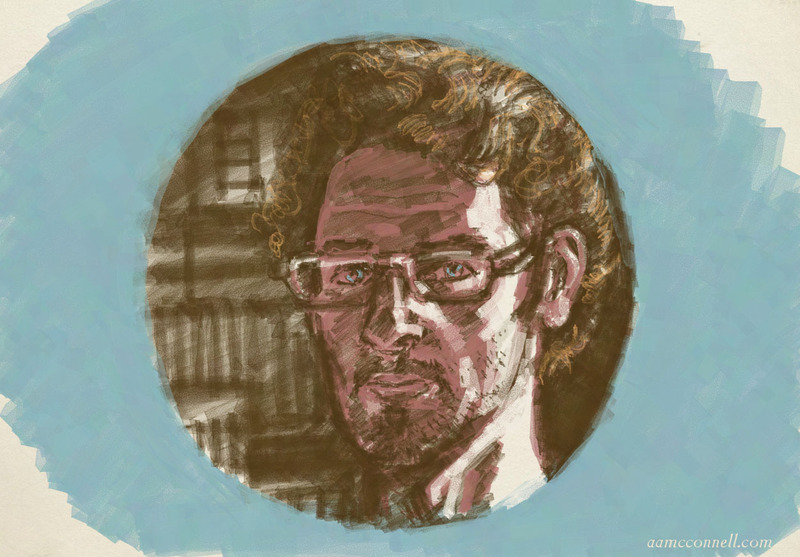 I am left with the final two Icons for my behind-the-illustration posts, and evidently I’ve been reluctant to finish them off (astute readers may have noticed that postings were delayed for over two weeks). 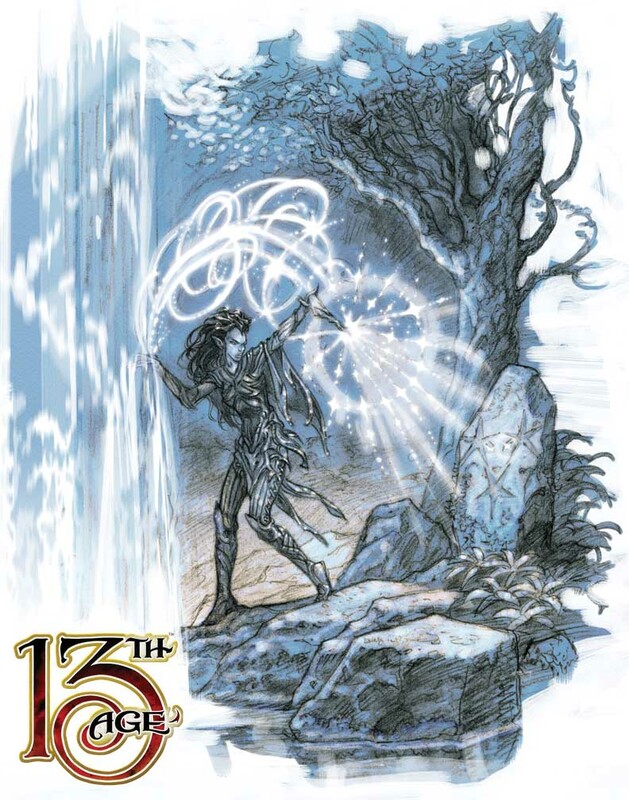 But there are so many 13th Age illustrations yet to be revealed that I need not hesitate. The show is just beginning, in fact! 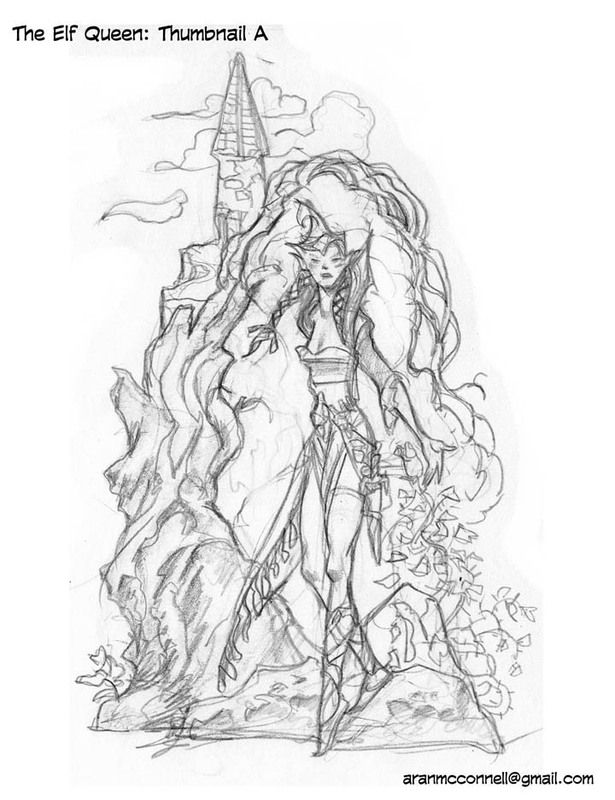 The Elf Queen is Lee Moyer’s favorite icon, and I think that passion is easily recognized in his digital painting. 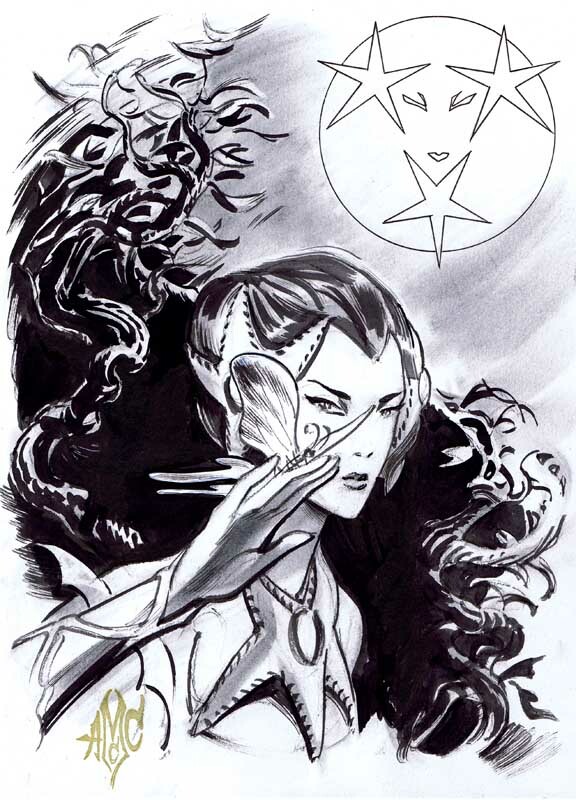 She’s a wonder to behold, and if Lee hadn’t already claimed her she would probably be my favorite illustration, but I’m going to be a tease and say that next week’s icon is my favorite. The Elf Queen was another icon that took some “ratcheting up” on my end. 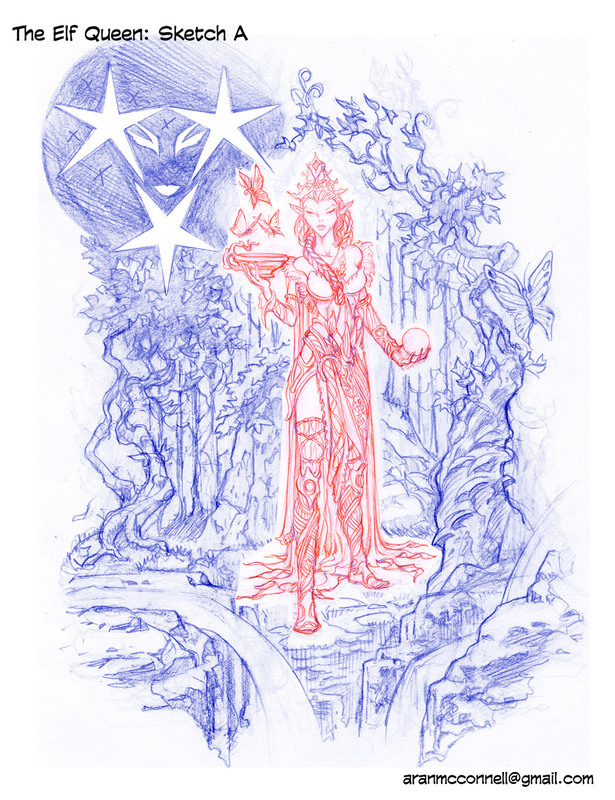 The progression of thumbnail to final pencils ends up looking like a narrative of the elf queen from adolescence to queen. Lee and I had a chuckle over the thumbnail of the “schoolgirl” elf queen that I knew wasn’t going to work, but submitted because she was just so darn cute! Take a look at the thumbnail and try to tell me she’s not about to burst into song. She’s the Snow White of elfdom in that stage, but as you can see her true form is much closer to The Queen, minus several degrees of vanity, one would hope.